Cheeky monsters on wheels: it’s a dream come true. Read and race with your speedy buddies. 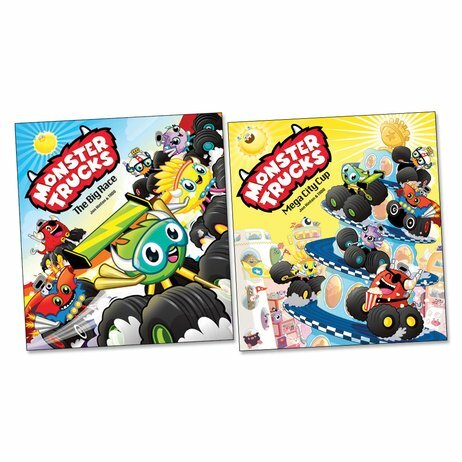 If you like Disney Cars or Moshi Monsters, you’re going to love the Monster Trucks. A gang of friendly monsters who each have their own set of wheels. What do they love? Racing! If you’re a little person looking for a speedy read, it doesn’t get better than this. Two funny stories about trucks with personality. Bursting with jolly cartoon artwork from hip creative team TADO.